This card started out looking quite a bit different. 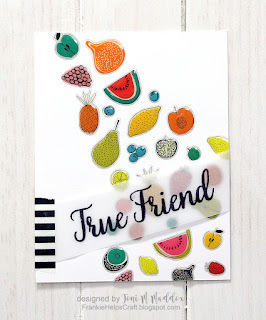 Cascading fruits, sentiment on vellum, washi. Fun but not wow. Then I saw this amazing card by Linda Trace over the weekend. What, what?! I can totally do that so I did. These are fruit stickers (thanks, Amy!) 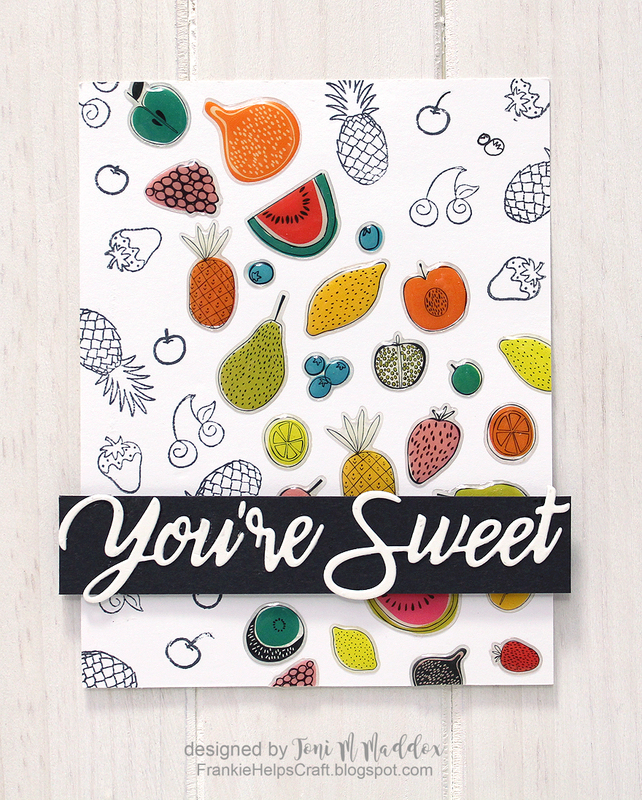 so I pulled some little fruit stamps from my collection. Worked a treat. I think the Penny Black die (thanks, Tonya!) works wonders for this too. 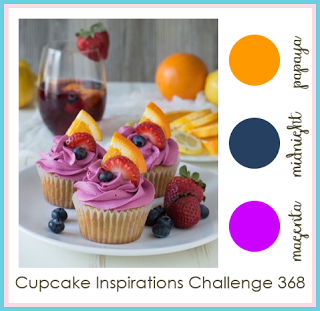 I'm entering this in Cupcake Inspirations #368 and Simon Says Anything Goes. I saw this cute kitchen towel at JC Penney's and was inspired to make a card. Because of a kitchen towel of all things! Keep your eyes open, people. You never know what you might see. 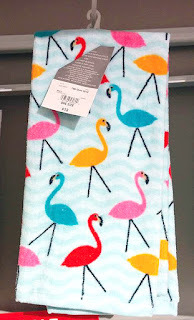 And thanks to The Heart Desires where I picked up the cute Lawn Fawn Flamingo Together set. Adorbs! 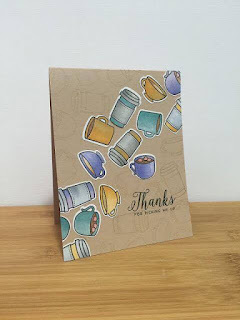 I got together with some fab crafty friends on Saturday and actually managed to produce a card. Usually I'm Miss Gabby and just enjoy the company with aspirations to finish something so I'm quite proud of myself--LOL. Here I did a watercolor wash background using Zigs. 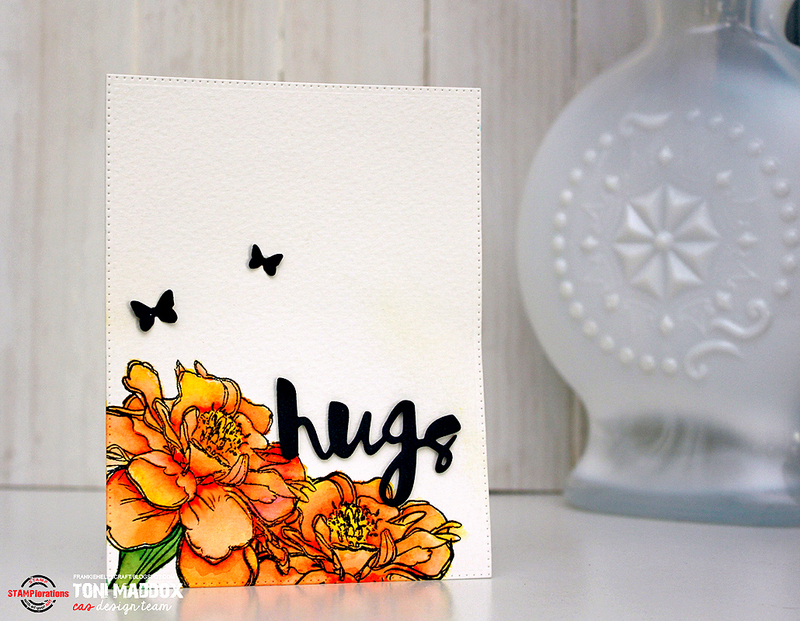 Super easy to do and dried quickly as I used a watercolor brush very lightly. 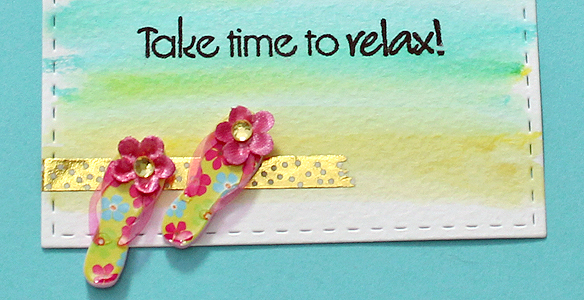 I emphasized the sand using tiny gold dotty washi and placed those cute flipflops like they are walking into the scene. The banner I created using my new MFT Stitched Banner die. Soooooo cute. Oh! Notice how "relax" appears in bold? 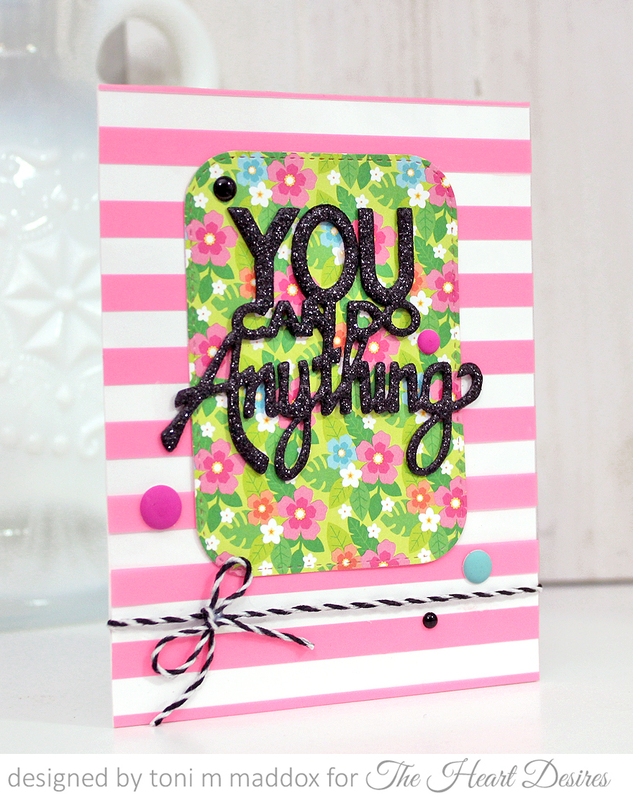 All you need to do is ink up your sentiment and press a bit harder when stamping where you want that effect. This is using VersaFine. I don't know if it works with other inks. Let me know! I've had the idea of using Brushos with Julie Ebersole's Mondo Hydrangea for ages, absolute ages. I love how it turned out! Do you notice the C9 Tree Ring in the background? I stamped and embossed multiples of that in stages. AND I stamped and embossed the sentiment on top of the tree ring embossing. Held my breath on that but turned out fab! 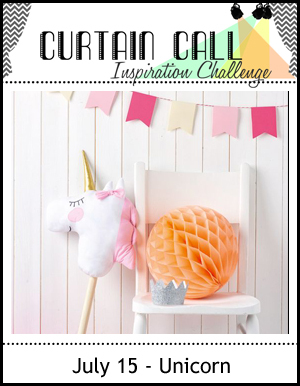 Stopping in with a card for the Curtain Call Unicorn challenge. How could I not play along? I love, love, love unicorns! My favorite part of the card tho is the 3-D embossed gold cardstock background. It is so very very cool. No, cooler than cool. Magical. 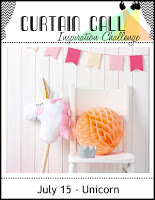 Join in at Curtain Call (unis!) and check out The Heart Desires store, why don't ya. 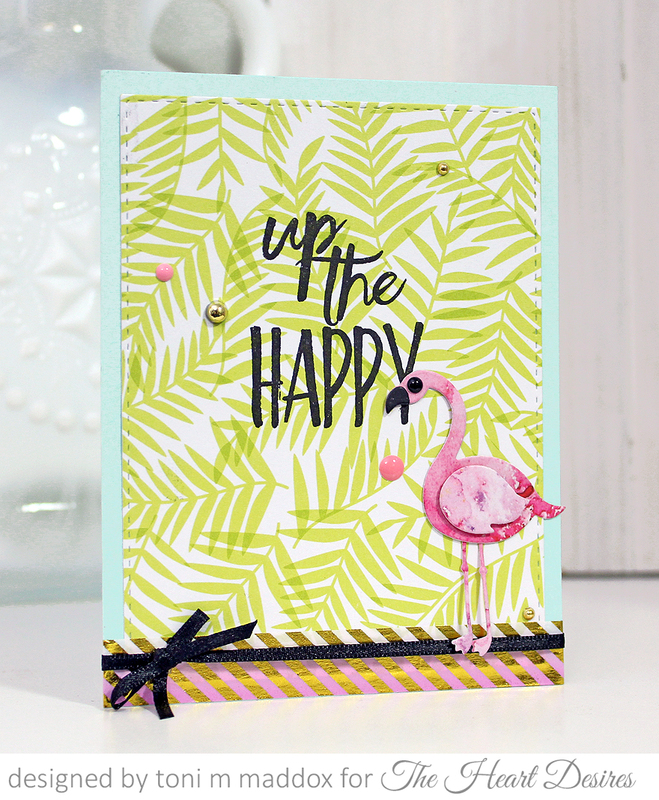 I am so into all things pink and bright and fun lately! 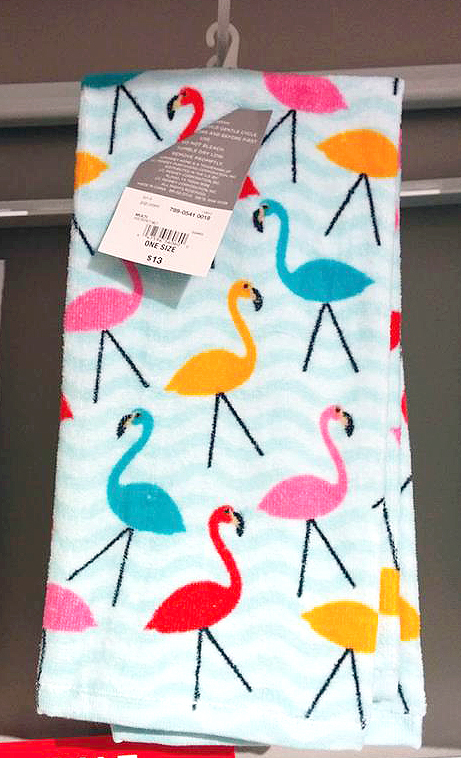 It's the fault of those flamingos I'm seeing everywhere! My design started out with the Doodlebug Fun in the Sun designer paper. I love the pattern and colors soooo much! The panel is rather bold, however, so I made the sentiment black (and glittery!) to really stand out. I paired it with printed acetate for a fun shine. I added some Lawn Fawn twine (I'm hoping it will be carried in The Heart Desires store soon. It's fab--look how well it holds the bow shape!) and a few matte and shiny enamel dots. 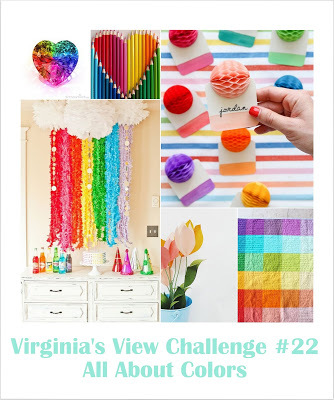 While you're here, why not get the heck out and get craftin' so you can join us at The Heart Desires Challenge #2. You know you want to! Stamplorations CAS July Challenge Reminder! 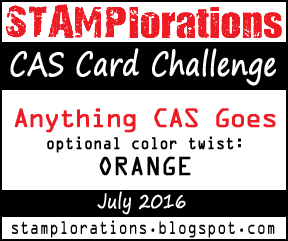 We're still rockin' the orange over at Stamplorations CAS Anything Goes challenge. Come join in the fun! 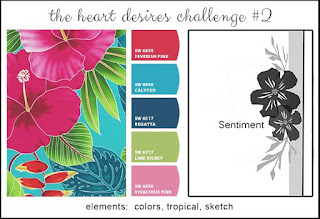 We're about halfway through The Heart Desires Challenge #2. 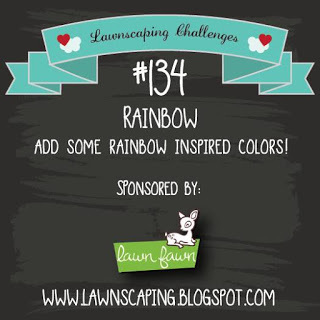 Come on over and join in the fun! When I saw the Jen Hadfield Everyday paper pad over at The Heart Desires, I had to have it. HAD to. This will certainly become one of my hoarded, no-you-can't-have-any pads! I also noticed Ken Oliver Color Burst paper. What the heck? 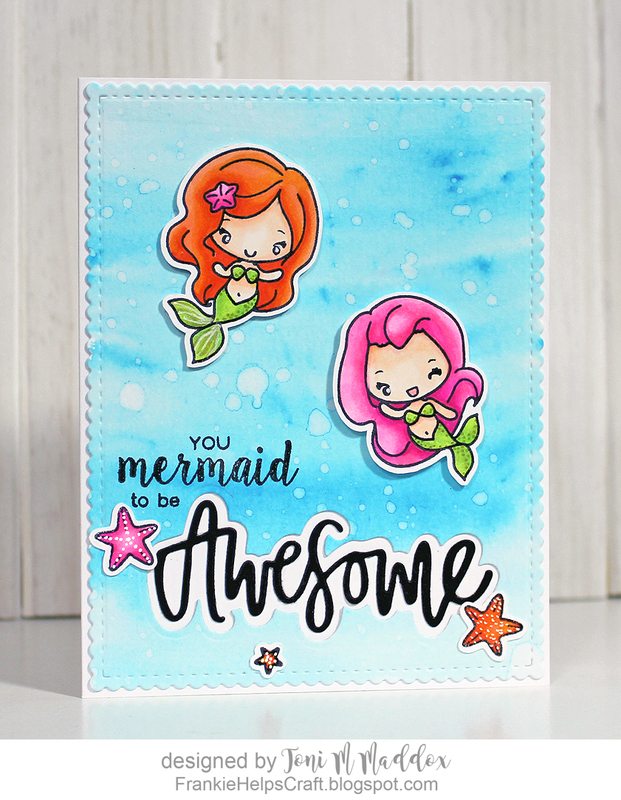 It's cardstock that has printed designs created by Color Burst watercolors on it already! Now I can have the effect I love without having muss and fuss and, best of all, NO WAIT. Squee!!!!! 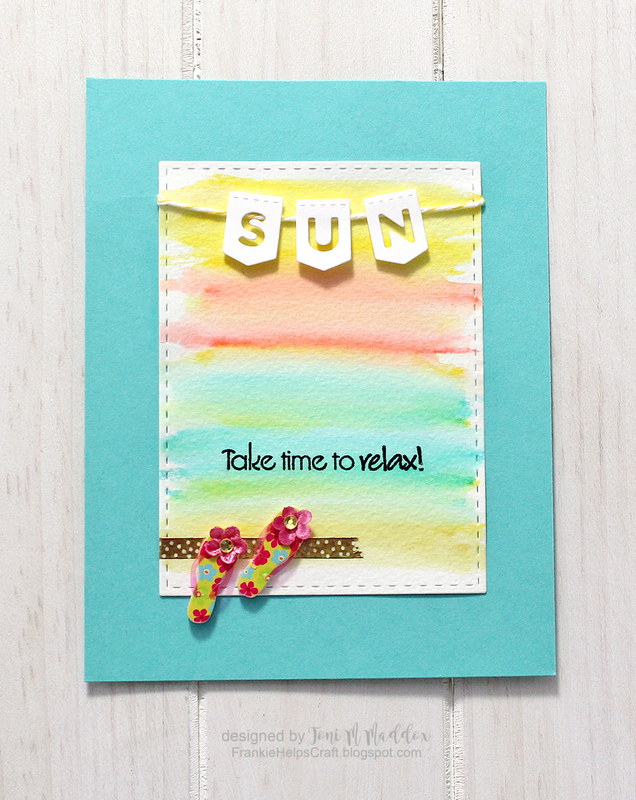 So I paired the two up on this fun summery card. Also, can you see the gold dots? Those are also new at THD. So on trend and now! 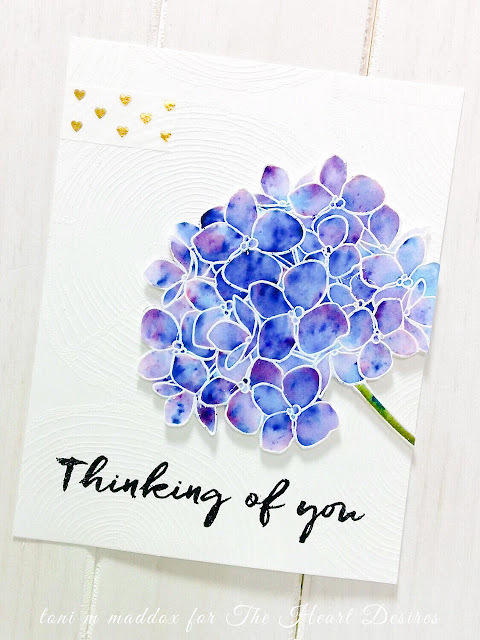 I have been seeing some amazing backgrounds on cards lately (Cornelia's alcohol ink on Yupo, for instance) and wanted to riff on that in my latest card for The Heart Desires. I sprinkled some Brushos on Tim Holtz watercolor paper (my fav for this type of thing!) then spritzed. The more water there was in a section, the more blended the crystals became. Cool, huh? 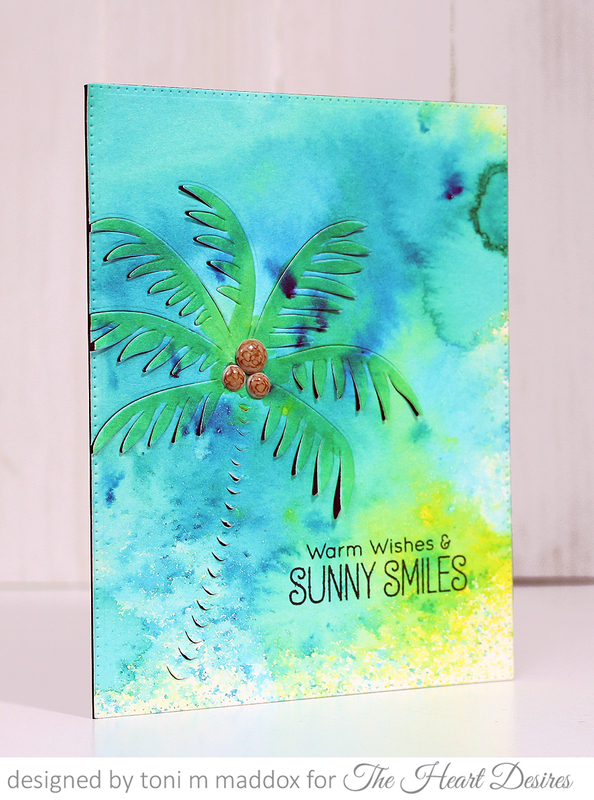 I was reminded of sand at the bottom with the specks of colors and water above so went with a tropical scene. The Hero Arts die was calling my name! I colored over the fronds with a Copic to spotlight the green. I also used a Copic on gray enamel dots to create the coconuts. I was so pleased with the unexpected results. I'll definitely be coloring more enamel dots in the future. I mounted the lot on black for a shadow effect after fluffing up the fronts and trunk with a pick. I absolutely love how this card turned out and hope you do too! If you haven't tried Brushos, do! I loves them--loves loves loves them! I've been a bit laid up but now that I'm feeling more like my old self, my crafting energy is baaaack. Woo hoo! I have THREE more cards for The Heart Desires Challenge #2 because the challenge pic is just that amazing! I love the colors so I used those but the last card is different, rather a stretch for me really--so many layers and bits and bobs. 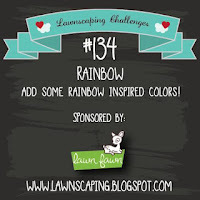 I hope you're inspired to join in the fun! I sprinkled Brushos on damp paper then spread it around some with a water brush. Flicked water after drying the panel with a heat gun. Set aside. Stamped, cut, and colored cute mermaids and starfish. OMG, so cute. Diecut outline and awesome. Carefully applied pen glue that refused to come out except in giant blops. I used two different thicknesses of foam tape to lift up the mermaids so the one in pink is a little closer visually. Notice the difference in shadow? Cool. 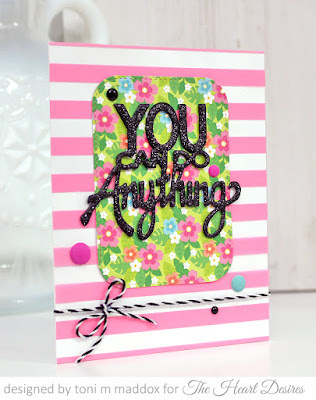 I sponged the stencil using Distress inks then covered in Wink of Stella. 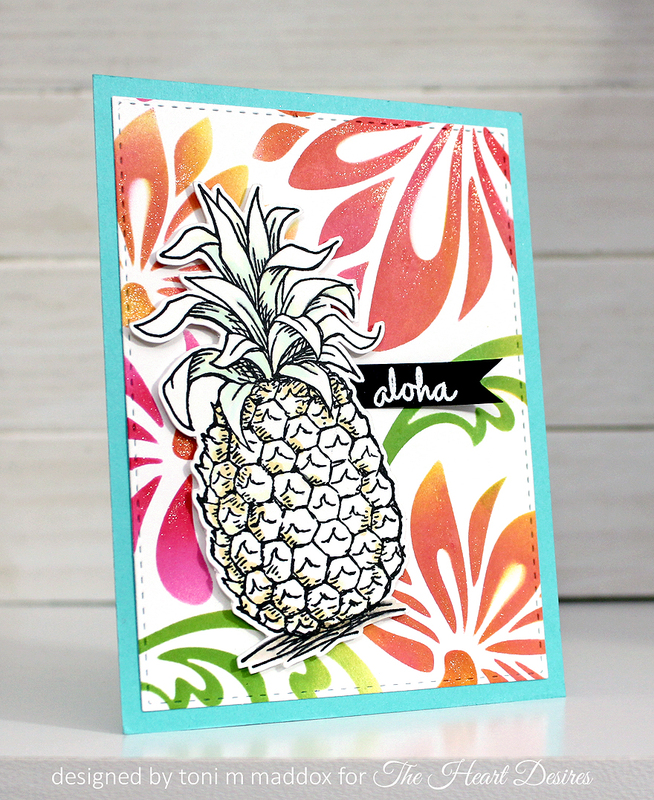 Stamped, diecut, and lightly colored the pineapple. Stamped, embossed, and fussy cut the sentiment banner. 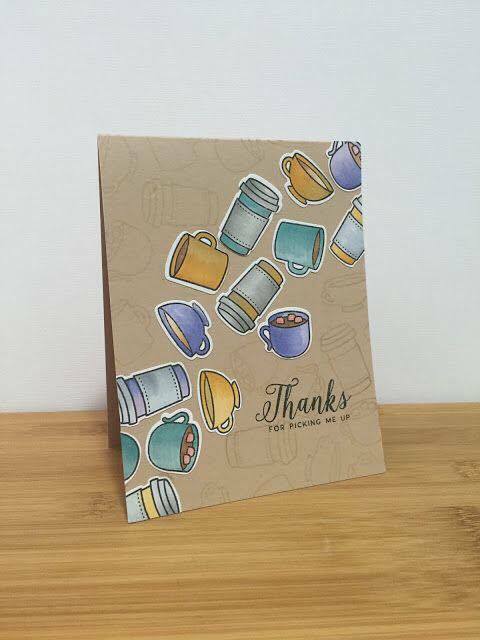 I chose a fab Authentique life card and diecut it so it would have stitch lines. The card beneath is full size. 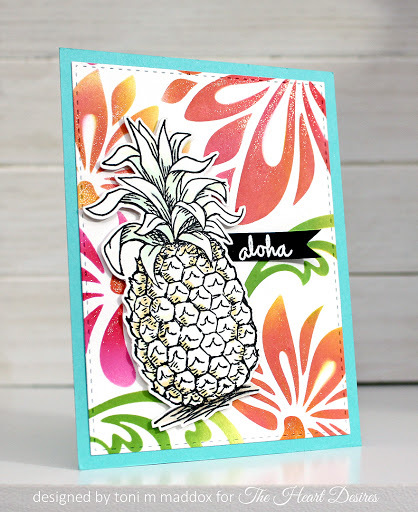 Embossed the EP paper with pineapples! Assembled using washi and clips. My favorite details is the sequin and enamel dot flower in her hair. 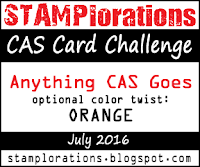 I am so very excited that orange is the optional color for the Stamplorations CAS Anything Goes challenge starting today. Woo hoo! How I do love me some orange! Ready to get your orange on? Or not--totally up to you! Come join us! The second The Heart Desires Challenge starts today--woo hoo! 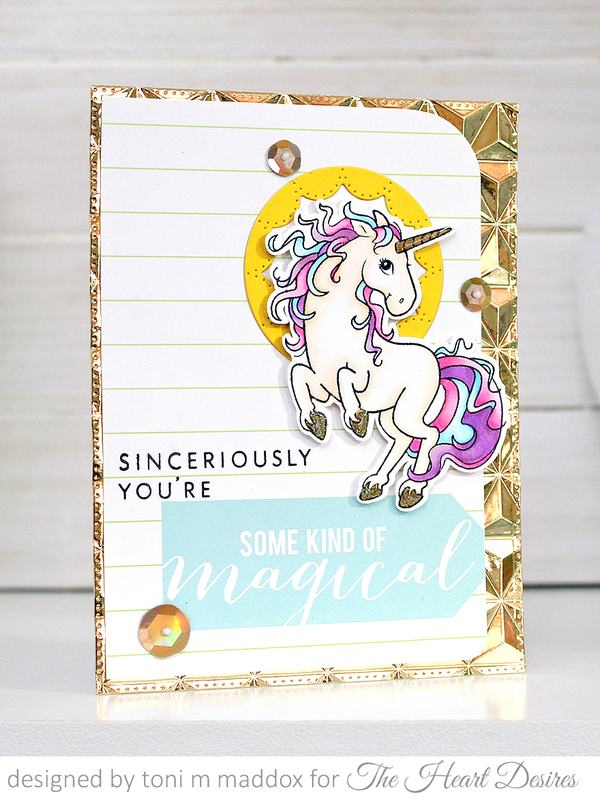 I cannot wait to see what fabulous creations you link up--sinceriously! Notice this time there's a sketch you can use it you like. I sorta but not really did! For my card I sponged Distress Inks with a stencil to create a tropical mood. 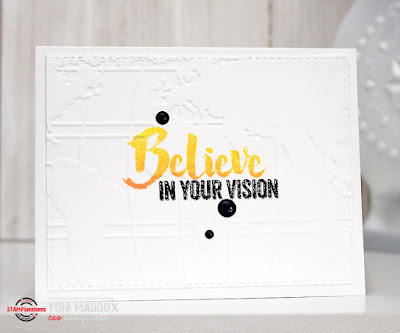 Then I layered washi on cardstock and diecut it out in order to create the graphic frame--oh, how I love this! 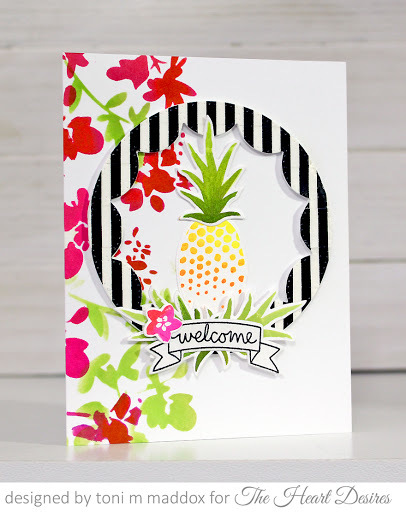 My idea had been to create a pineapple wreath but it seemed too floaty so black and white to ground it . . . a LOT. I stamped and diecut the pineapple and multiple green stems with ombre--cool effect, zero effort. 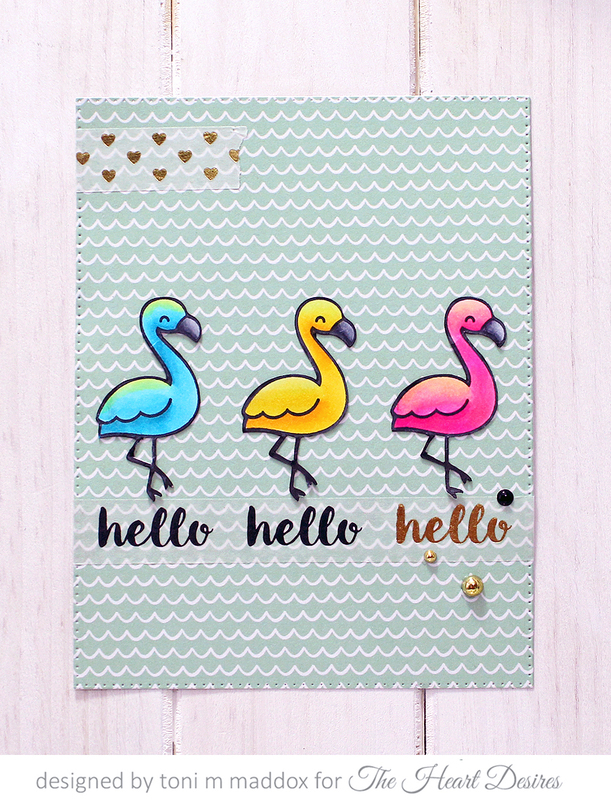 Layering the leaves at the bottom allows the welcome sentiment to pop and the little pink flower draws the eye there too, doncha think? So there you have it. Now come on over and join in the fun!!! 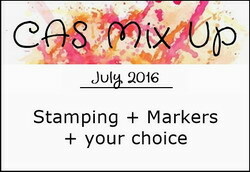 Happy Little Stampers CAS July Challenge! 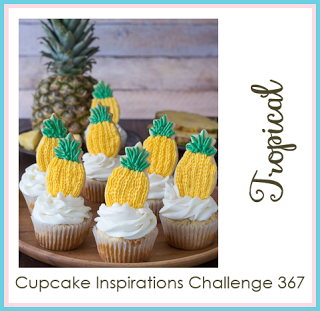 House of Cards July Challenge!